Ukrainian President Viktor Yanukovych’s U-turn in foreign policy priorities, in which he picked Russia over the European Union, fueled popular anger that triggered the ongoing, civil uprising known as EuroMaidan. The scrapping of the association agreement with the EU gave way to a Dec. 17 agreement with Russian President Vladimir Putin, who agreed to loan Ukraine up to $15 billion and cut natural gas prices by roughly 33 percent. While Yanukovych praised the agreements, saying they will allow the country to avoid financial default and permit the country’s economy to grow, many in Ukraine are left guessing what Russia received in exchange for its concessions. 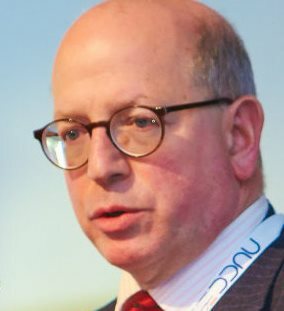 James Sherr, a fellow at the Russian and Eurasian program at London-based think tank Chatham House, is a key Western expert on Ukraine and Russia. In his exclusive interview with the Kyiv Post, he said he believes Yanukovych surrendered to Russia’s pressure and gave up control over key sectors of Ukraine’s economy to ease the pressure as the West looked on helplessly. Kyiv Post: President Viktor Yanukovych’s recent agreements in Moscow with Russia’s President Vladimir Putin on the $15 billion loan and a gas discount for Ukraine sound like a good deal. Yet, many in Ukraine worry that it could be just the tip of the iceberg, the rest of which is not to Ukraine’s advantage. What do you think there is to worry about? James Sherr: Yanukovych handed his own independence to Vladimir Putin and much of Ukraine’s independence as well. JS: In the critical meetings that took place last month, Putin effectively said to Yanukovych that if he signed the association agreement with the EU he (Putin) would break every bone in his body. And he showed him how he would do it. By that I mean that Putin presented him with the telling details of the work done by [Putin’s advisor] Sergey Glazyiev and others, which targeted the key sectors of Ukraine’s economy vulnerable to Russian influence, including the industrial and financial interests closest to Yanukovych himself. My understanding is that he spoke in direct and brutal language: in language that would normally oblige the president of an independent state to end the meeting and return home. (Ukrainian Prime Minister Mykola) Azarov’s meeting with (Russian Prime Minister Dmitry) Medvedev shortly afterwards was similar: less brutal but even more specific. Yanukovych was not prepared for this. Instead of putting up a fight, he folded. What he signed (Dec. 17) are the terms of capitulation. They make it clear that Russia will now pursue a different model of integration with Ukraine. The Customs Union is yesterday’s story. The new framework will be built on interlocking, inter-sectoral integration, in other words Russian co-ownership and co-management of key sectors of Ukraine’s economy. In 2010, Medvedev presented Yanukovych with precisely such a model, embracing shipbuilding, chemicals, and of course, aerospace, the defense complex and energy, which every Ukrainian president has regarded as a mainstay of national independence. All of this was very public at the time. In 2010, Yanukovych rejected it. Now he has accepted it. There are still questions about details and bigger questions about how much can and will be implemented. But the Russians are very happy. Their conclusion is that ‘Ukraine is now ours’. Azarov can still insist that Ukraine won’t join the Customs Union. But that is now irrelevant. The story has moved on. Today there are only two centers of power with leverage over Yanukovych: Russia and the EuroMaidan. Yanukovych is more afraid of Russia than of the Maidan. The main reason is understood by everybody: Russia’s influence over Ukraine’s economy. This is not the product of natural causes. The priorities and policies of Ukraine’s authorities have pushed Ukraine to the brink of default against all international advice. And there should be no confusion. If Yanukovych had implemented the IMF’s conditions, Ukraine’s economy would not have been in this position. What Putin has offered is a rescue package in the form of 1/3 discount on energy and a staged disbursement of $15 billion over three years. The gas discount is likely to prove as evanescent as the 2010 discount. The terms are renewed every quarter, that is by Gazprom and the Kremlin. The $15 billion is not a grant, but the buying up of debt, which remains debt. Out of this sum, the only near certainty is that the first five billion will be disbursed. It could turn out to be $3 billion, because Ukraine is still obliged to pay its existing gas debt. So Russia’s help is contingent upon Ukraine’s good behavior. Putin has every opportunity to turn off the tap if there is bad behavior. Put all of this together, and you can see that Yanukovych is bound hand and foot. Everything about these agreements contradicts the notion that, unlike the EU and IMF, who give money with conditions, Russia simply provides ‘brotherly assistance.’ The conditions of the EU and IMF are limited, specific and absolutely open. Their purpose is to make Ukraine’s economy and institutions work better. The conditions that Yanukovych has accepted from Moscow perpetuate weakness and subservience. Nothing in the Moscow accords even addresses the causes of Ukraine’s economic disaster. When Putin turns off the tap, Ukraine will find itself in exactly the position it was in before, probably worse. KP: You are saying that there was a meeting between Yanukovych and Putin during which Putin used “direct and brutal language” with Yanukovych and that Putin made Yanukovych an offer he essentially could not refuse. How do you know this? And why, in your view, was Yanukovych not prepared to this? JS: You as a journalist don’t discuss your sources and I don’t discuss mine. And it’s not important. Putin’s language is a detail, and there is nothing new here. Immediately after the Nov. 21 decree (breaking off work on the association agreement), Azarov told (EU Commission President José Manuel) Barroso that Ukraine had come under very strong pressure from Russia. In other words, it was Russian pressure, not EU conditionality, that forced Ukraine to drop the association agreement. And please note that during two years of negotiations, Ukraine didn’t even raise the issue of large, unconditional grants from the EU and IMF until the eve of the Vilnius summit. So the private story and the public story are different. The issue that matters now is what was agreed in Moscow, and the substance of that is becoming more public by the day. Why was Yanukovych unprepared? I see two causes. First, the priorities of Viktor Yanukovych, a man who came to power with the purpose of remaining in power and securing the dominance of a relatively small group of interests. Of course, he wanted Europe too, but not at the expense of this fundamental aim, which has never varied. For almost four years, his policies have enriched his power base, but damaged the country. They have crushed small entrepreneurs, dried up investment, distorted energy markets and choked off national revenue. Since 2010, the greatest threat to Ukraine’s national security has been the state itself. The second cause is the illusions of Yanukovych and the people around him. All of these illusions are based on some degree of truth. The first is that he can prevail internally. Well, that might be so, at least for a time, but at ever more onerous cost. The second is that he can keep the EU in play whatever he does: write laws rather than implement them, make the right declarations rather than do the right things. Well, it’s true that there are many people in Europe who pay more attention to what people say than what they do, and some are happy to play this game because they don’t want to do anything themselves. But as Abraham Lincoln said, you can’t fool all of the people all of the time. And Nov. 21 (the day Ukraine’s leaders abandoned the EU deal) was the day that most people in the EU stopped being fooled. The third illusion was that he could manage Russia: that the Kremlin would pursue its usual ‘whip and gingerbread’ (carrot and stick) policy, rather than prepare its ground and strike with maximum force at the decisive moment. But his greatest illusion was believing that he could do all of these things at once. In part, it’s a Ukrainian national failing: the belief that you can manoeuvre forever without making choices. Sometime in late October reality intruded, and from that point, surely after his meetings with Putin in Sochi and Moscow, the biggest motivation driving Yanukovych has been fear. KP: Fear that his own wealth or his position as a president would be challenged? JS: How could Yanukovych’s position survive a default? There is no equilibrium in default. Everything is up for grabs. You have to do something. Some oligarchs would manage for a time, and some criminal structures would even prosper, but for how long. It doesn’t bear thinking about. The system’s opponents would solidify, and its support base would crumble. Yanukovych could not cope with this. His thinking is rigorously short-term. He would rather be in alliance with those who could hurt him today than those who might help him tomorrow. KP: Now you said the only levers over Yanukovych are in the hands of Putin and Maidan. It is pretty much clear what Putin’s levers are. What are Maidan’s levers? As of now it does not seem that Maidan can do much except pulling lots of people on the streets and once there are orders the protests can be cleaned up rather easily. JS: The EuroMaidan was a shock to the metabolism when the protests started in earnest on Nov. 22. Like Putin, Yanukovych does not understand the human factor, and it unnerves him. But the Maidan’s leverage has subsided with the crowds. It is containable. It’s preposterous for Azarov to say that it is having a disastrous effect on Ukraine’s economy. It’s not even having a disastrous effect on the centre of Kyiv. So far, the Moscow accords have not affected this dynamic. In some regions of Ukraine, they will be very popular. However, I flatly disagree when you say that ‘the protests can be cleaned up rather easily.’ The danger is that the authorities might agree. It’s a danger for them as well as Ukraine, because that very step could create a new dynamic, one they could not deal with. Using force is not simple as some people think. My understanding is that in the country as a whole there only a few thousand Berkut and a smaller number of miscellaneous riot police. Of all the deployable Interior Ministry forces, only some regiments are fit for purpose, and the rest are in very bad condition. The armed forces will stay in their barracks, but if Yanukovych is unwise enough to break with tradition and order them into action, he will face defiance. So, the authorities have the capacity to create carnage. But then what? That’s not the same as winning. I am worried that as the Maidan diminishes in size, the temptation to suppress it will increase. My worry increases because of the people Yanukovych now relies upon: Azarov, [Deputy Prime Minister Yuriy] Boyko, and [National Security Council Secretary Andriy] Klyuyev and Viktor Medvedchuk who, as in the past, is acting as the intermediary with the Kremlin. Everyone else is frozen out. This is a narrow circle of narrow thinkers. Now consider the following. Over the past year, the key players in the EU established what they thought was a good relationship with Yanukovych. There was the EU Troika, (Pat) Cox-(Aleksandr) Kwasniewski, (Radislaw) Sikorski, (Carl) Bildt. They met frequently with Yanukovych, sometimes for hours at a time. Yet they hardly changed his thinking at all. Imagine how much worse it is when no one is talking to him except this narrow circle of narrow thinkers. Put all this together, and draw the conclusion: the country is in a dangerous situation. KP: What is the role of the opposition as you see it in all these recent protests in Ukraine, and has the opposition been effective in consolidating the protesters, and what is their stake in all of this? JS: Here we come to the key issues. How united is the opposition leadership? What is their authority? What is their strategy? If Yanukovych does become more afraid of the Maidan than the Kremlin, who does he talk to? Who issues promises, and who provides guarantees? The opposition has been handicapped by a number of factors. They are working together, but they are not speaking as one, because they are not one. Although the opposition leaders did call for protests after Nov. 21, they have been following a crowd rather than leading one, and in the early days, some of them sounded more radical than they are. Unlike the 2004 Maidan, which was spontaneous and well-coordinated, the EuroMaidan is not a well prepared enterprise. It is made up of different centers that have learnt to coordinate from the bottom up. It is a very inspiring sight. But there is no coordination from the top down. The three opposition leaders and (multimillionaire and opposition lawmaker Petro) Poroshenko have been impressive in exposing provocateurs and keeping things peaceful. But this is very modest compared to 2004. KP: How do you see the way out for this political crisis that has resulted in the EuroMaindan protests? And what could be the consequences of the use of force by the government? JS: First let’s talk about outcomes, which are not the same as solutions. I can see five possible outcomes. The first is that Yanukovych restores his authority by force, which would have to be massive and would probably be protracted, because it will also provoke a massive reaction. If he succeeded, his authority would be brittle and temporary, and he would be entirely isolated in the West. In western Ukraine, he would face a battle he is most unlikely to win. There are no soft landings in this scenario. But it’s entirely realistic. Second, he could restore his authority by stealth. As the EuroMaidan knows full well, a ‘transitional’ compromise that allowed Yanukovych to preserve real power would be used to repress them and the opposition parties. Yanukovych and his inner circle are not capable of compromises, only Leninist compromises. I can’t see the opposition being fooled by this. Third, he could restore his authority by apparent coexistence with a diminishing Maidan, by creeping repression and by return to an apparent normality. That’s his preferred option, and there are signs of it being implemented. It will not restore normality, but it will require a shift of tactics by the opposition, and it will weaken them if they do not mobilise enough people to expose it and oppose it. Fourth, it is possible that some of the mainstream oligarchs—Rinat Akhmetov, Ihor Kolomoisky, Viktor Pinchuk and possibly Dmytro Firtash will offer their good offices to achieve a compromise. The oligarchs need it. They are not pro-Western. But they are pragmatists who know that Ukraine cannot afford to alienate the West. They know how to play the game there, and they are willing to play it through PR companies and lobbyists of all kinds. I can imagine quite a few in the West would welcome this option if it avoided force, even if it restored the pre-crisis status quo. But it is the status quo that caused the crisis in the first place, and I don’t believe it is restorable. This scenario might avert disaster, but it doesn’t provide an attractive future for Ukraine. That leaves the fifth scenario: recovery of initiative by the EuroMaidan and the opposition leadership. I fear this is more likely to come about because of some ghastly miscalculation by the authorities than anything the opposition does on its own. We then come back to the key questions. Why should Yanukovych give up power if he is threatened with the confiscation of his wealth and imprisonment? If there is to be a soft landing, what should its terms be? Who is going to negotiate these terms and guarantee them? With good answers to those questions, a solution is possible. It is in this scenario that the EU or Council of Europe might be able to mediate, along the lines of what took place in 2004. But that possibility is further away than it was before Moscow, and I am not sure we will get there by entirely peaceful means. And if somehow the opposition succeeds, there are elections and a new president and government come to power, then what? In 2005, (then President Viktor) Yushchenko and (then Prime Minister Yulia) Tymoshenko held legal power, but real power was still held by the people who held it before. How do you take power away from the people who run Ukraine’s economy at present? How do you do it lawfully, justly and intelligently? Equally big question: how do you persuade the majority of Ukrainians in eastern and southern regions that this is about them? Conclusion: the opposition needs a strategy, not only for today’s reality but tomorrow’s. KP: U.S. recently threatened Ukrainian officials with targeted sanctions, if the government resorts to force against peaceful protesters. Do you think the threat of such sanctions is credible and will that be viewed by Yanukovych and his inner circle as credible? How, in your view, the situation in Ukraine will evolve before 2015? JS: You wisely mentioned sanctions in response to repression and force. This would be perfectly legitimate. Forceful suppression of opposition is not a purely domestic matter. Ukraine’s commitments to the OSCE and the Council of Europe rule out the employment of such means. However, if someone thinks sanctions should be imposed because Yanukovych has changed his policy regarding Europe, that enterprise has no legitimacy at all. Ukraine is a sovereign state. The shelving of the association agreement and the Moscow accords might or might not have constitutional implications. But Ukraine’s constitution is a matter for Ukraine alone. The nub of your question is effectiveness. The people who are considering sanctions know what they are doing. The sanctions would target those who commit atrocious acts, those who give orders and those who command them. But I am not sure that sanctions of this kind will be enough to deter a President who decides that force is the only way of keeping himself in power. One would need comprehensive sanctions to deter that, and I don’t see anyone devising them. One last point. While Ukraine has every right to alter its course, Russia has no right to force Ukraine to alter it. The December 1994 Budapest Memorandum obliges all parties to ‘refrain from economic coercion.’ Coercion does not show respect for sovereignty. It is a violation of sovereignty. A number of European leaders are as persuaded as I am that Russia employed economic coercion. The Budapest principles underpinned the post-Cold War settlement. The principles that defined that settlement then should define it now.